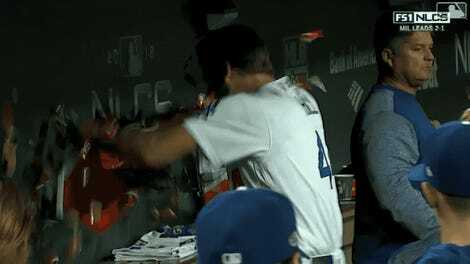 The Dodgers scored a run in the first inning of tonight’s NLCS Game 4, and then the Brewers matched them with a run in the fifth, sending starter Rich Hill to go terrorize some Halloween treats in the dugout. And then, in a bizarre occurrence only rarely seen at a baseball game, a temporary black hole swallowed up Dodger Stadium, and anything noteworthy that may have happened in the contest between the two teams became lost to history, with nothing but a hell of a lot of zeros on the box score to mark the alleged passage of time. 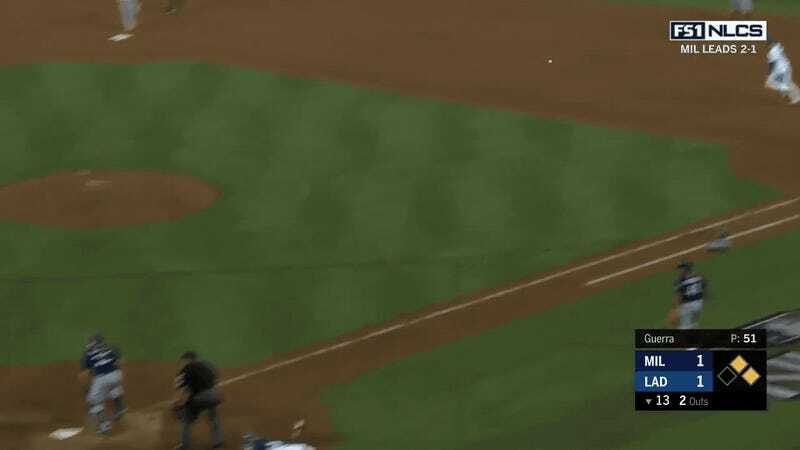 When everyone regained consciousness with two outs in the bottom of the 13th, Manny Machado was on second base, and Cody Bellinger was at the plate facing a full count. 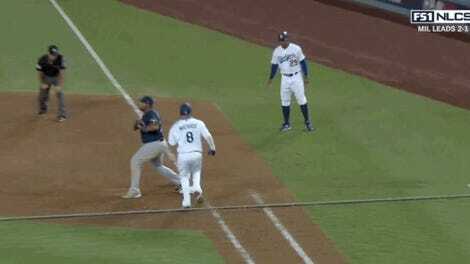 On the next pitch, the Dodger hero sent a ground ball past the Milwaukee first baseman and into the outfield, giving Machado just enough time to go 180 feet and score the winning run with just a beautiful game-ending slide in front of the tag. Who’s ready to do this again tomorrow afternoon????? ?